Here’s a copy of the Announcement sent to all those without computer access. We are using CaFE this year. 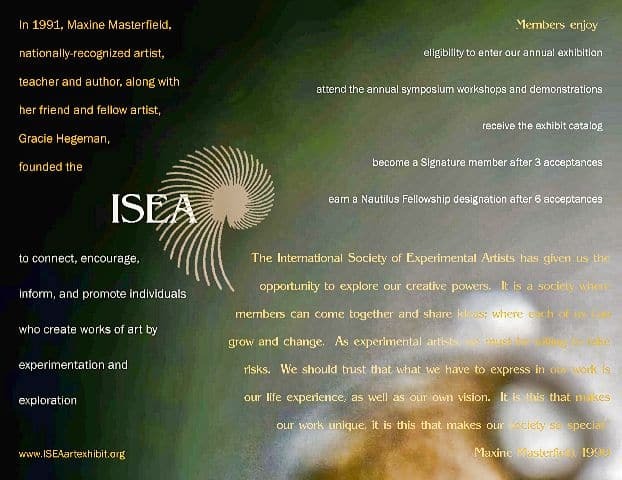 If you are not a member of ISEA and would like to enter this juried show, go to CaFE and search for ISEA to check on the call. Here’s a copy of our Tri-fold Brochure for this year (2016-17). If you need more information please e-mail me, or comment below. 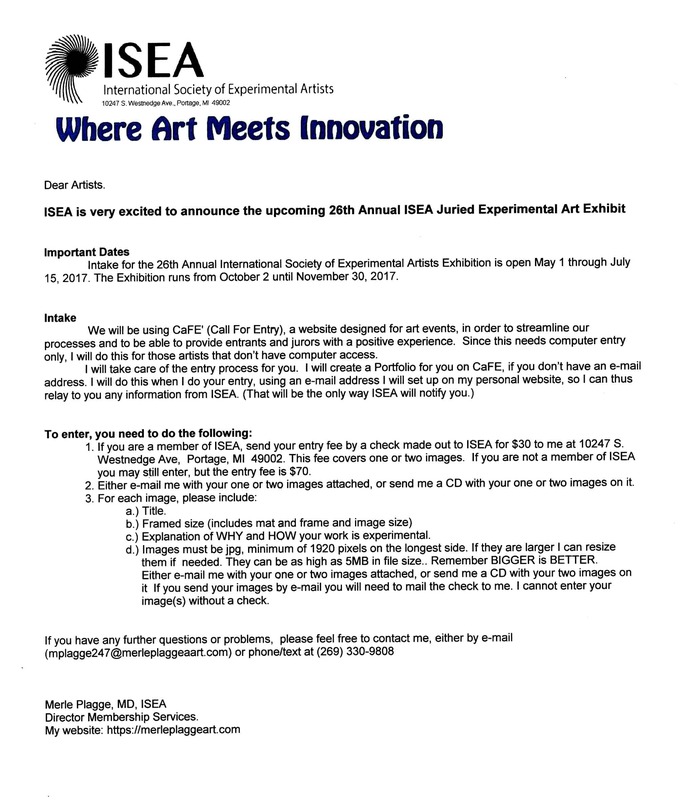 If you are at all interested in Abstract painting or photography, you should be in ISEA. Our annual juried shows are a great learning experience, and possibly a money making experience if your piece is chosen for a winner or merit award. In addition we have an annual Virtual Exhibit which is an online show, but does carry some interesting prizes–like $1000 for first place in 2017. Remember, you can’t win if you don’t enter, and the entry fee was only $20. Somebody is going to win and it might as well be you. If you have any questions, or interest in joining, please leave me a comment below.